"[Tom] is a good strategist and counselor and does not oversell his argument or our position. He gives realistic assessments of the posture of the case - a critical skill in litigation." 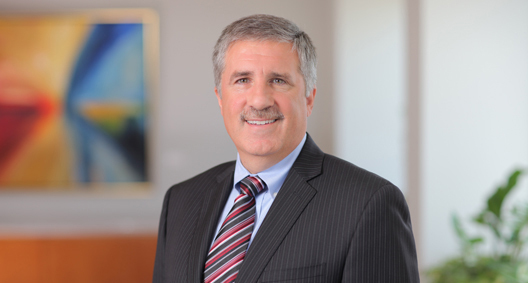 Tom Lucchesi has more than 29 years of experience as a trial lawyer representing clients in commercial disputes. He has participated in more than 25 trials, including jury trials, and in dozens of arbitration and mediation proceedings. Tom brings seasoned judgment and a level-headed approach to complex litigation, while also aggressively defending his clients' interests. Tom is ranked in Chambers USA: America's Leading Lawyers for Business and is listed in The Best Lawyers in America©. Represented a national charitable organization in a lawsuit brought by families of Ohio school shooting victims. Families alleged they had not received the proper amount of the donations made by the public following the shooting. The lawsuit drew national news coverage and was eventually settled on a confidential basis following court proceedings on an injunction and mediation. Successfully defended a heavy truck manufacturer in an eight-day arbitration against a terminated chain supplier, in which the supplier asserted claims for $20 million due to alleged delays and extra work. Completed a two-year involvement representing the Securities Investor Protection Act Trustee in the liquidation of Bernard L. Madoff Investment Securities LLC. In that representation, managed several teams of firm attorneys and forensic experts in their investigation of Madoff's fraud. Was a member of the core strategy team that oversaw the work that led to the filing of more than 1,000 lawsuits seeking to recover funds for the Customer Fund. Member of a team representing the Federal Deposit Insurance Corp. as receiver of a national bank and a federal bank in declaratory judgment actions currently pending in the Sixth Circuit Court of Appeals and the Ninth Circuit Court of Appeals regarding the disputed ownership interest in tax refunds of approximately $450 million. Both cases involve unique procedural and substantive issues regarding tax refunds. For a five-year period, was part of a team of lawyers representing a national bank in a residual value insurance dispute involving one of the world's largest reinsurance organizations. Led part of the team responsible for proving the bank's losses on its portfolio of leased vehicles. Resulted in a settlement of more than $250 million. Defended a national automotive finance company in a seven-day arbitration involving a $100 million claim by a third-party service provider for breach of contract and theft of trade secrets. Obtained final judgment in favor of a major oil company in a lawsuit brought by several Cleveland-area dealers alleging unfair wholesale pricing of gasoline. Successfully argued before the Ohio Supreme Court that Ohio law required an objective standard of good faith for open price terms under the Uniform Commercial Code. As lead trial lawyer, represented an individual in a U.S. district court in a breach of contract claim against a national operator of self-storage facilities. Following a one-week trial, the jury returned a verdict of more than $6 million against the storage facility operator. Was part of a team representing a Canadian plush toy distributor in a breach of contract claim against the creators of a popular children's character. After an eight-day trial, the jury awarded the client $3.8 million. As lead trial lawyer, successfully prosecuted a breach of contract claim for an environmental waste transporter. The 10-day trial resulted in a judgment of $8.1 million for the client. Successfully represented a lender in an eight-day jury trial involving defaulting borrower's claims of lender liability, improper collection practices and other tortious conduct amounting to $10 million in alleged damages. Obtained an injunction that permitted travel to New Jersey to repossess, with the aid of armed guards and local police, six truckloads of fabricated steel essential to timely competition of a major construction project in downtown Cleveland.